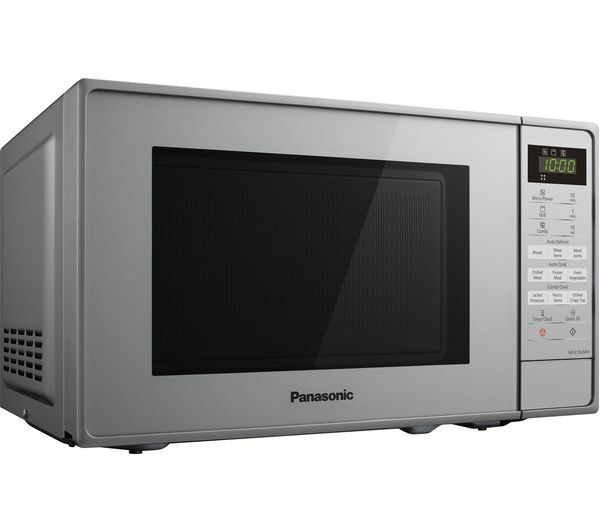 The compact design of the Panasonic NN-K18JMMBPQ Compact Microwave with Grill means that it's easy to fit into your kitchen, but it doesn't lack any of the features you'd expect. It provides 800 W of power and five power levels, so you've got a wide range of options to choose from. The NNK18JMMBPQ has a 1000 W grill built in, which gives you even more cooking options. Fancy some grilled bacon or toast on a Sunday morning? Just pop them into your microwave and the fast and efficient grill will do it in no time. 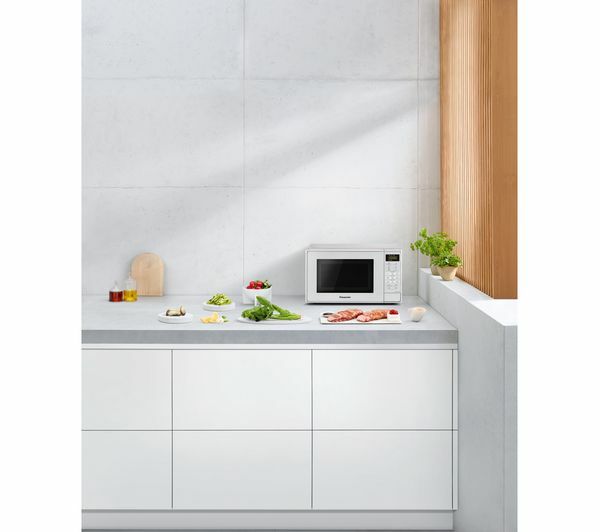 There are nine automatic programs to choose from on the NN K18JMMBPQ, each of which is designed to make cooking simple. Four cooking programs cater for everything from pastries to jacket potatoes, and the two reheat modes let you deal with chilled meals or frozen meals, perfect when you're in a rush. No one likes having to wait around for food to defrost. 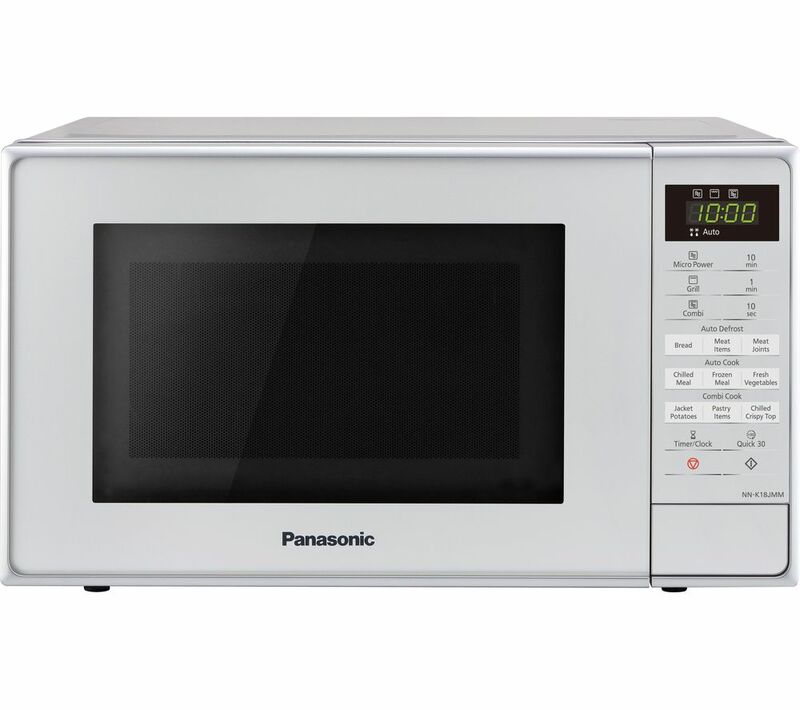 That's why this microwave has three defrost programs, so you can have meat and bread ready to go quickly. The touch control panel is easy to use, and there's a child safety lock that can stop children from using the touch panel to change settings. You've got the option to start cooking quickly with the quick 30 second setting. 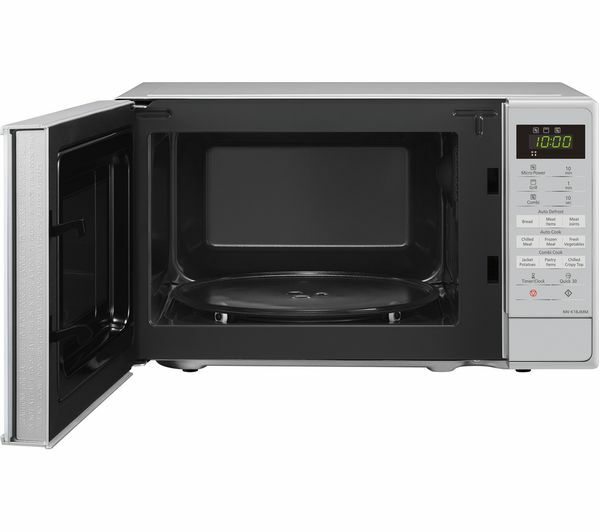 You can quickly set the cooking time in 30 second increments. The beeps when it’s finished cooking are slightly annoying, but no big deal!